Last weekend, we went to New Orleans to visit family. We stayed on Canal St., so we still got to enjoy some of the city in the mornings and spent our afternoons hanging with family. Some of our cousins, who live minutes from the Quarter, are restoring a beautiful house from the 30's (it still has all its original hard wood floors!). We spent a lot of time there and on Friday, they cooked us his famous gumbo (that he'd been working on for days) and we had a crawfish boil on Saturday, complete with volleyball. Over the weekend, we also hung out at the beautiful park outside the New Orleans Museum of Art, enjoyed a little of Bourbon St at night, dyed Easter eggs with my precious little cousins, and had maybe my favorite french toast ever. For an entire weekend spent outside, we really could not have asked for more perfect weather either! 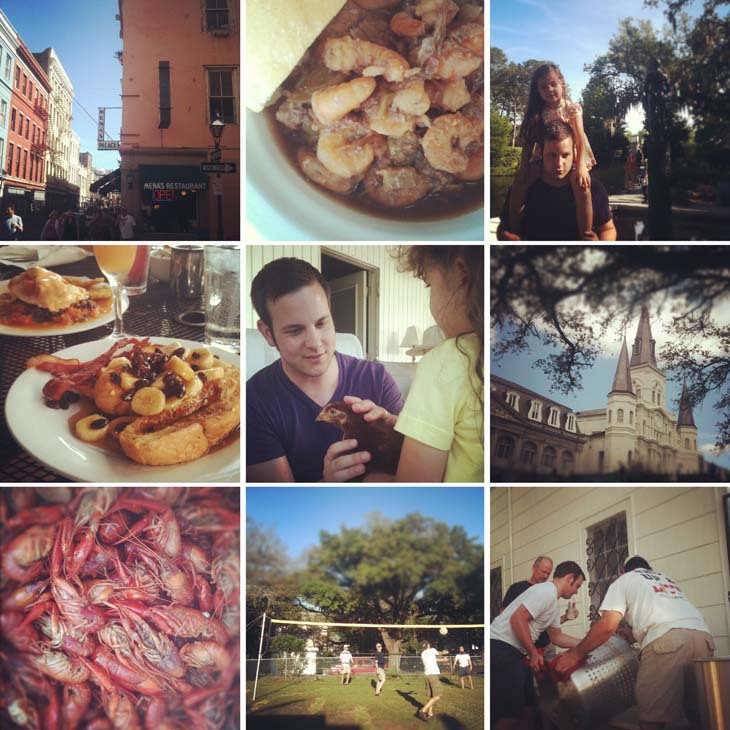 As usual, here's a glimpse of our trip via Instagram photos.